Contributor Marckcure gives us this beautiful aerial look at the Middle Rhine River in Wesern Germany. The Rhine is one of the most important waterways in Europe, belying its modest length of about 1.2k km (about 735 mi.). It rises in Germany's Black Forest as the High Rhine, meanders through parts of France and Switzerland as the Upper Rhine, runs north through much of western Germany as the Middle, then shifts to the northwest, discharging into the North Sea in the Netherlands. 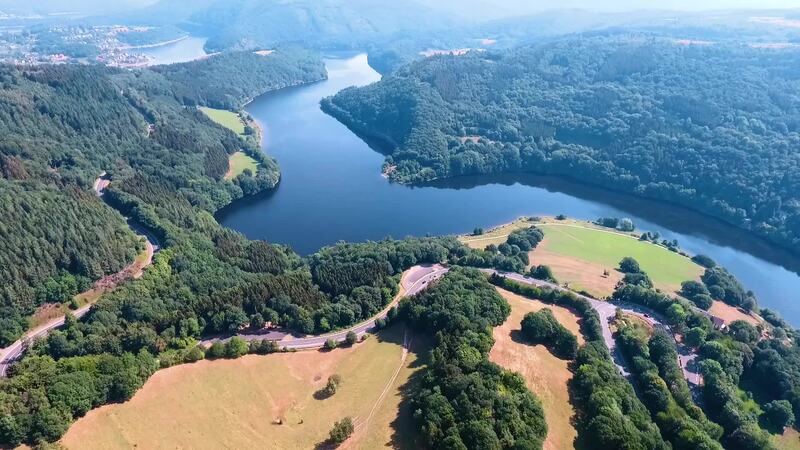 Description: Aerial footage from my short trip to Rhineland, Germany.